Briefcase is an integral part of a business person and is quite helpful during the national and international business meetings and conferences to keep the documents, tablets, PDA devices, and laptops. Hence, finding a right briefcase is quite important. Get a suitable briefcase which is stylish and comfortable for your business and personal needs. Leather briefcases are luxurious and it goes well with any kind of attire. On the whole it must be practical and elegant to use. Buying a briefcase is not a big deal nowadays, there are certain things you should keep in mind while choosing one. You must first decide upon which type of design and material will meet your needs. 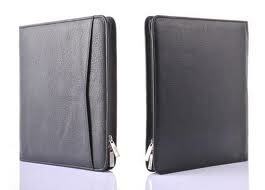 Why many people opt for leather briefcase? The leather briefcases give a classy feeling and it is sturdy and soft to touch. It is ideal for men, who like to look smart and wish to travel light. These cases are available in different shapes, colors and sizes. Most of them opt for black and dark brown color case. Since the leather cases are expensive, you need to take proper care of it. There are different types of leather such as full-grain, corrected-grain, top-grain, and split. You can search on the internet, where the largest collection of high quality briefcases is available at an affordable price. These briefcases are categorized based on their style such as attaché cases, wheeled briefcases, soft or hard sided portfolios, messenger bags, buckled briefcases and shoulder bags. Choose a style that you want, based on the purpose you are going to use it. Professional people usually prefer rectangular shaped case because it is easy for them to organize things. Messenger bags go well for sporty and semi-causal look and teens, students and freshers usually opt for such kind of design. Attaché is termed as the largest briefcases, which are often used by the diplomats and ambassadors. It is available in rectangular shape and contains two compartments and you can store more things in it. It is easy to pack the documents in them, but you may find it difficult to place your laptop. Portfolios are compact size bags, which are convenient for you to hold paperwork. It looks like a standard case, but does not contain a handle. You have to keep them under arm or in hand. Modern portfolios are available with pull up handle. Standard cases are mostly used for travel purpose and it is available in large sizes and is bulkier to carry. Once you have decided the style or type that is best for you, the next thing is to compare the price with various brands. The briefcase should not only complement your business suits, but also your appearance. Tyler Berret is an author and enthusiastic fashion analyst. He writes articles on matters arising about fashion. His latest articles focus its limelight on leather briefcases as the best accessory trending for men now. Visit his blog to learn more from his intriguing articles on the best men’s wear.